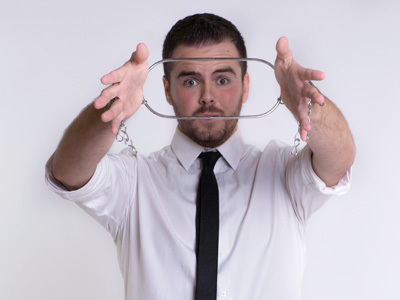 Mike's comedy magic shows are highly interactive shows packed with plenty of audience participation, hilarious comedy and most of all, amazing magic! This type of performance suits almost any venue, requiring very little space and set up time and is very versatile when it comes to audience sizes. This type of performance can range from a 5min act through to a 60min show depending on what might suit your event best. Guaranteed to have your audience in fits of laughter and amazed all at the same time! 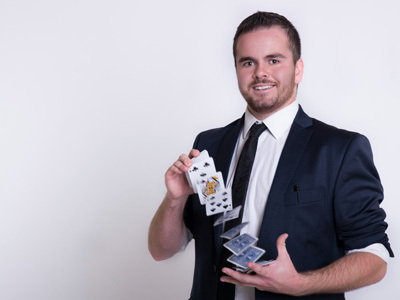 For that real 'WOW' factor at your event Mike has a 'vegas style' performance with some of New Zealand's largest illusions! 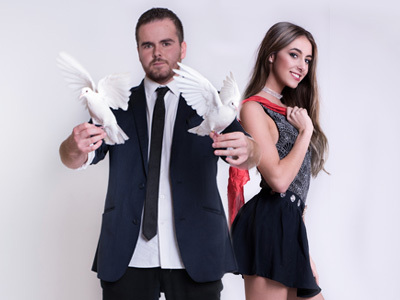 This show includes live animals, dancer/assistant and some next-level magic! This type of performance requires a lot more set up time and stage space with a few more technical requirements, so please get in touch with us to see if this suits your event. These shows can either be a short impactful act or blended in with some comedy magic to become a full 30-60min performance depending on your event type and requirements. Blending in with the crowd Mike can mix and mingle with your guests performing small miracles right before their eyes! Involving his quick witted humour your guests will be sure to LOVE this type of performance. This sort of performance is highly versatile and can be done in almost any type of scenario, it's more suited for events of 50+ guests but can be adapted to a smaller crowd. The length of these performances depend on your crowd size and event schedule. Close Up magic is highly interactive making it a unique experience for your guests when it involves them and their peers.